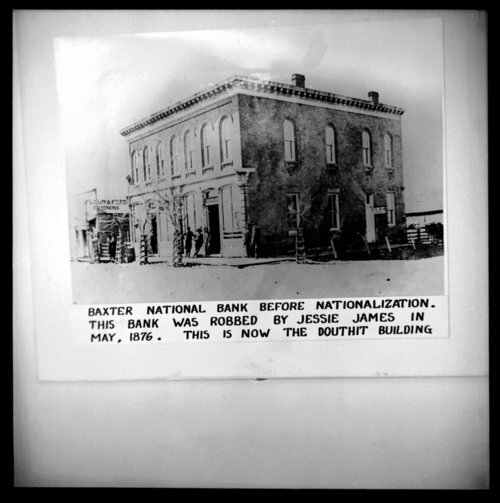 A photograph showing the Baxter National Bank in Baxter Springs, Kansas. This bank was robbed by Jessie James in May 1876. At the time the photograph was taken, the structure was called the Douthit Building.